TRAVEL.org - Colorado - Find hotels in Colorado, and other points of interest. Hyatt Regency Denver Tech Center - Luxury hotel featuring upscale accommodations and first-class services & amenities...the only Four Diamond property in Denver, Colorado. Pokolodi Lodge - Snowmass Village is possibly Colorado's best family mountain ski resort. It is located only 210 miles southwest of Denver and 12 miles northeast of Aspen. Comfort Suites Denver Tech Center - Our newly renovated all-suite hotel is only 20 minutes from downtown Denver and walking distance from the Denver light rail train. Holiday Inn Denver Cherry Creek - This superior hotel lodging is situated in Denver's exclusive neighborhood near downtown Denver and just minutes from popular attractions, landmarks, shopping, museums, and events. Stay in Colorado Springs - Stay at the Comfort Suites or Sleep Inn - two hotels in Colorado Springs offering fabulous accommodations, extended stay hotel amenities, a convenient location, free wireless Internet, and easy access to area attractions. Residence Inn Denver Airport - Discover the Residence Inn near the Denver International Airport. Enjoy the comforts of home in our spacious suites, relaxing library, and daily complimentary hot breakfast buffet. TownePlace Suites Denver Airport at Gateway Park - is an extended-stay hotel and the only LEED certified TownePlace Suites hotel in Colorado. We offer 99 newly designed suites with fully equipped kitchens and high-speed Internet access, complimentary continental breakfast each morning, and a heated indoor pool and fitness center. A year-round resort destination, The Ritz-Carlton, Bachelor Gulch - combines the comfort of a Colorado luxury hotel with the finest outdoor adventures. Discover the mountain traditions and exceptional amenities of this Beaver Creek resort. Vail Marriott Mountain Resort & Spa - welcomes guests with the charm of a European chateau. Only 150 yards from Eagle-Bahn gondola, this Vail resort's amenities include a quaint spa, ski and bike rental shop, dining and two heated swimming pools. Red Lion Denver SouthEast - Located minutes from Downtown Denver, aka "LoDo", Red Lion Denver SE is close to all of Denver's attractions. Embassy Suites Denver International Airport - An Elegant Departure from Standard Denver Airport Hotels, with a complimentary 24-hour airport shuttle. Fairmont Heritage Place, Franz Klammer Lodge - Discover a Colorado lodge that also offers exceptional slope-side residences. Visit Fairmont.com and book your Telluride lodging in minutes. Vail Marriott Mountain Resort & Spa - Nestled at the base of Vail Mountain resort and conveniently located just a three minute walk to the gondola, the Marriott Vail resort offers upscale accommodations, 21,000 square feet of meeting space, on-site dining and more. A Better Stay - Vacation Rentals in Aspen - Booking vacation rentals, condos, resorts, hotels and more at reduced prices. ABetterStay.com, the starting place for a better vacation. Courtyard Denver Cherry Creek Hotel - In stylish Cherry Creek, you'll find our Colorado Convention Center hotel's spacious accommodations the perfect retreat from a long day of meetings. Also discover the city's top shopping and dining destinations, just steps away. Marriott's Mountain Valley Lodge at Breckenridge Ski Resort - Colorado's renowned Breckenridge ski area is the proud home to Marriott's Mountain Valley Lodge. Studio and 1-bedroom villas offer cozy space and comforting amenities including a full kitchen and private balcony or porch surrounded by breathtaking views. Fairfield Inn & Suites Denver Cherry Creek Hotel - Cherry Creek area hotel in Denver featuring extended stay hotel suites with kitchenettes, free breakfast, and free high-speed internet access. Crowne Plaza Colorado Springs - Indulge in luxury lodging at the Crowne Plaza Colorado Springs, an upscale hotel in Colorado Springs that features spacious guestrooms and suites with amenities like many TV channels and high-speed wireless Internet access. Marriott Denver Hotel at City Center - This downtown Denver hotel features 27,000 sq. ft of meeting space, on-site dining at Allie's American Grille, an indoor pool, hot tub, steam room, and 615 modern guest rooms and suites. Winter Park Lodging by Owner - Reserve your Winter Park lodging accommodations. Winter Park Lodging By Owner provides new, clean condominiums, cabins & town homes in Winter Park, CO plus lift ticket and ski rental deals. Wingate by Wyndham – Denver Tech Center - Located in suburban Greenwood Village, Colorado 14 miles from Denver, it offers both business and leisure travelers an ideal lodging experience highlighted by spacious guest rooms and suites, complimentary hot breakfast buffet, meeting rooms, indoor swimming pool and easy access to Colorado attractions. Renaissance Boulder Suites Hotel in Broomfield - AAA Four Diamond Hotel in Broomfield in the Interlocken Business Park with on-site dining, spa, meeting space, business center and pool. Aspen Rental Places - Vacation Rentals - Ski Vacation Homes, Cabins, Chalet Rentals in Aspen, Colorado. Professionally Managed Vacation Rental Accommodations. Denver Regency Hyatt - Official Site. Across from CO Convention Center. Steps to 16th Street Mall, LoDo and Pepsi Center. Breckenridge Rental Places - Vacation Rentals - Ski Vacation Homes, Cabins, Chalet Rentals in Breckenridge, Colorado. Professionally Managed Vacation Rental Accommodations. Cyberrentals.com - 15,000+ Lodging Vacation Rentals Condos, Beach Houses, Villas, Homes, Apartments & Ski Chalets. Best Western Colorado Hotels - Offering more than 50 hotel locations to meet your vacation and business travel needs. Keystone Rental Places - Vacation Rentals - Ski Vacation Homes, Cabins, Chalet Rentals in Keystone, Colorado. Professionally Managed Vacation Rental Accommodations. Renaissance Boulder Suites at Flatiron - Nestled in Boulder's foothills, the Renaissance Boulder Suites offers luxury accommodations, including a pool and fitness center, at a discount rate. Snowmass Rental Places - Vacation Rentals - Ski Vacation Homes, Cabins, Chalet Rentals in Snowmass, Colorado. Professionally Managed Vacation Rental Accommodations. Steamboat Springs Rental Places - Vacation Rentals - Ski Vacation Homes, Cabins, Chalet Rentals in Steamboat Springs, Colorado. Professionally Managed Vacation Rental Accommodations. Winter Park Vacation Rentals - Ski Vacation Homes, Cabins, Chalet Rentals in Winter Park, Colorado. Professionally Managed Vacation Rental Accommodations. Stay Winter Park Inc. - Winter Park lodging, ski packages, summer getaways. Accommodations range from condos, townhomes, private homes. Rockie Mountain Hotel Guide - Find Lodges, Hotels, Condos, and & private homes for your vacation. Bellhop Directory - An easy to use guide to lodging in Colorado and across the US. Name your price, plan a roadtrip or find nearby attractions. Telluride Rental Places - Vacation Rentals - Ski Vacation Homes, Cabins, Chalet Rentals in Telluride, Colorado. Professionally Managed Vacation Rental Accommodations. Vail Vacation Rentals - Ski Vacation Homes, Cabins, Chalet Rentals in Vail, Colorado. Professionally Managed Vacation Rental Accommodations. 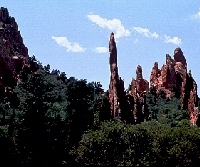 Scenic Rentals.com - Find Beautiful Vacation Homes & Condos in Colordao. Denver Hotels and Accommodations - Discounted rates on Hotel rooms, Car Rentals, Flights, Vacation Rentals. Discountedhotels.com, your complete travel resource. Resortime.com - Find Resorts in Steamboat Springs, Denver, Vail, Breckenridge and other locations. ResorTime.com - A variety of Timeshares and condo rentals in popular Ski and Vacaton spots.